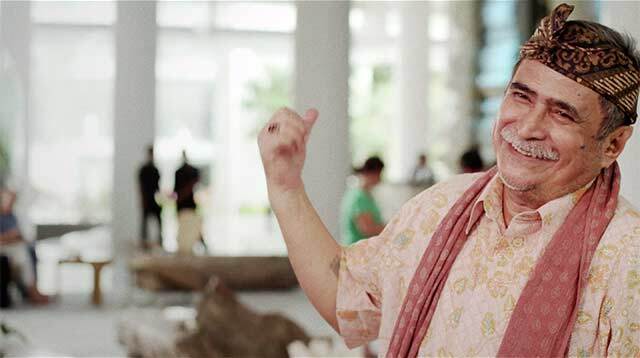 Skip is a dutiful son, fulfilling his mother’s last wish in this solo trip to Bali. The wish is a secret burden he bears, and the strain is showing. His tour guide Made starts things off on the wrong foot, arriving late to greet him. His absence does not sit well with Skip. Made’s best attempts at banter and the beautiful sights of Bali fail to lift Skip’s sour spirits. The gloomy atmosphere lingers over both men, without explanation. Over shared experiences and conversations, Skip’s frosty exterior begins to thaw. Made reads Skip’s emotions well, patiently allowing Skip the time and room to open up to him. Skip’s flight home is approaching. The deadline approaches, and the wait will soon be over. There are demons of the past to be confronted, and hopefully, buried. Watch ‘Made in Bali’ by Michael Pohorly (Indonesia | Canada) on Viddsee!